Buffalo, at the time of the interview. 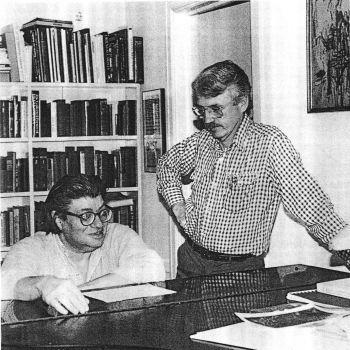 On 22nd April 1983, Jan Williams recorded an interview with Morton Feldman in Feldman's apartment in West Ferry Street, Buffalo. The primary subject was Feldman's piece for solo percussion, The King of Denmark (1964). Transcript and recording are made available here by kind permission of Jan Williams.